Tantan, Titus’ brother called us up and said that he needs a break from slaving it in the office and enticed us to go to Bohol with him. And since my sister has also been egging me that we go to Bohol for quiet sometime now so we can have ‘pictorial’ it was the perfect opportunity to do the trip. After all, summer is blazing hot and where better to go than to a place famous for many things especially white sand beaches? So to Bohol we go! Two years ago our group (without Tantan) embarked on a Northern Luzon Roadtrip to ILocos where we had so much fun. So we were all looking forward to another travel adventure. In fact days nearing our departure date, Nicko has been continuously asking if things are all set. LOL. Five days before we intended to leave, Titus & I went to Pier One to go to the main office of Oceanjet, a fastcraft company serving the Cebu-Tagbilaran route and vice versa, to buy our tickets early on. We had been doing online research to scout for cheap hotels along Alona beach and ways to go to Bohol. We decided that Oceanjet is the best choice considering that it’s fast, it docks in Tagbilaran instead of Tubigon and they have an on-going ‘Oceanjet Libre Balik Promo’ if tickets are purchased at least a day in advance and date of return is within one week from original date of departure. Unfortunately, I am a tad disappointed with Oceanjet’s promo as anyone reading their literature would automatically assume and think that they have indeed a “Libre Balik” promo which if translated to English means “return trip is free”. I mean, come on, libre = free / balik = return. Sad to say but Oceanjet’s promo is misleading; the return fare is not free, it is just a discounted one. I wonder why DTI have not checked on this. Anyhow, I hope people at Oceanjet will realized their mistake and change their promo slogan to something more accurate like “ Discounted Return Fare” so travelers will not expect more. Despite my disappointment we still bought 5 tickets at P820.00 per pax round trip fare. One way costs P600/pax. Another Option: If you have more time you can choose StarCraft, another fast craft to Bohol but note though that it docks in Tubigon port and not Tagbilaran Port. Their one way fare is P220.00 per person. There are also slow crafts serving the Cebu-Tagbilaran route, one of them is Weesam. These slower boats are way cheaper than fast crafts but average travel time is longer at 4 hours as compared to fast crafts that arrives in Tagbilaran after 2 hours of sea travel. time. Bohol for all intents and purposes is still basically a rural place. I don’t mean any offense to Boholanos. I am in fact applauding them. Everyone knows that Bohol is one of the Philippines’ top tourist destinations, yet despite the deluge of tourists arriving on her ports and airport everyday, Bohol continue to exude that old town charm. Life is unhurried and slower, I think that’s the reason why it draws in foreign tourists. In the white sand beaches of Alona, I think 1 out of 5 tourists are foreigners. My brother even remarked it feels like we were the foreigners there with so many westerners and Koreans scattered left and right, on the beach front, on the restaurants, on the streets. Oh yah, public transportation to get to every tourist attractions that Bohol offers is a bit tricky. Actually, in my opinion it is not advisable for tourists to commute for the tour as buses that plies in between towns are rare, like an hour apart. There are tricycles and habal-habal for you to hire; habal-habal are motorcycles that carries three or four passengers but their movements are limited to the main towns. The best option would be to hire a car or a van. If you are many in a group that would be better so you can all split the cost and make it more affordable per person. 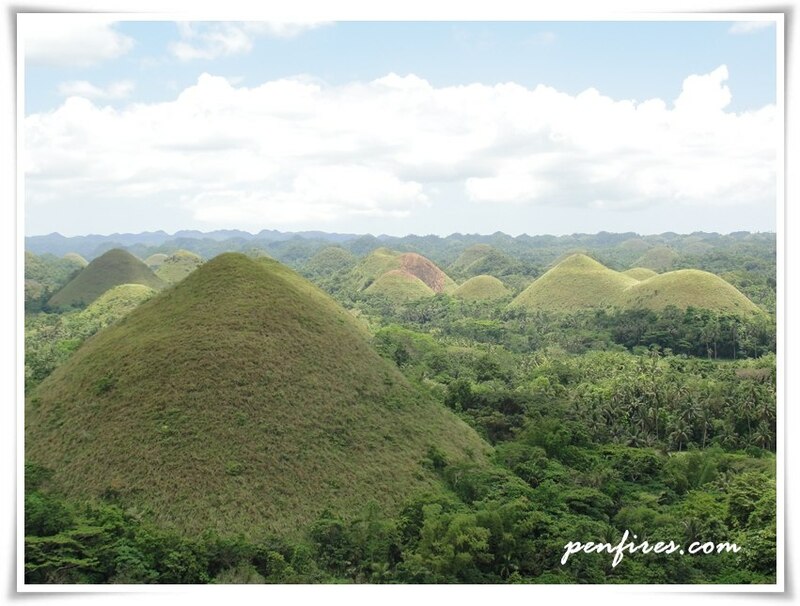 The usual Bohol Countryside Tour packages cost P2,500 using a van or if you’re lucky a SUV is available. We suggest you avail of our van and driver Julius because his group includes Hinagdanan Cave in Panglao in the tour package; most Bohol travel tours does not include Hinagdanan Cave because it is a bit out-of-the-way but Julius’ group does so you may want to consider hiring him – Julius number 09173565898 or Paul’s number 09297623614. Picking you up in the airport/seaport of Tagbilaran. Bringing you to your hotel. Wait for the hourly minibus, be early at the waiting area on the main road so you won’t miss it. Ride a habal-habal motorcycle to Tagbilaran at P300/person. Hire a van for P500/van. We stayed in Walk-Inn Haven Apartelle, it’s literally a few walks to the Alona White Sand beach strip, maybe 2 minutes tops. It’s a small inn with just 7 rooms. Our driver was the one who suggested that place, and we really like the place. It’s new, cheap, private and you can’t hear the blazing sound system of the beachfront restos despite its close proximity to the beach area. It’s before Bohol Rock Hotel, nearer to the beachfront than Alona Kew Hotel. The downside to this apartelle is that they don’t have any restaurant, you have to go out if you feel hungry. But that’s okay since lots of restaurant, carenderias, diners, and mini-marts are close by. We paid P1,600 per room good for 3 persons/room, the usual rate for the room is P1,800 but we haggled it down. Highly recommended place for budget conscious like us! i don’t like alona, it’s infested with tourists plus the beach is limited. try next time dumaluan + bbc + bolod; the stretch of sand is endless, you couldn’t walk from end to end in a day. exag. hehehe. hahah fetus you are so right about tourists infestation in alona! lol. another complaint we had was the presence of so many boats that there’s hardly any place to swim especially at dawn! hahaha… paita pod nang in a day. try at least 3 days! lol. 🙂 kung akoi pabut-on, ganahan ko mag spend og weeks at panglao. hehehe. panglao pa lang. … err i don’t have the numbers right now pero i think kinuha nung kasama namin, will email you pag nakuha ko na. I’m really sorry I can’t help you with this. 2 weeks ago Tantan was back in Bohol and stayed again in walk-inn apartelle, unfortunately, when they were asked for contact numbers, the 2 attendants there did not provide one. They don’t have a landline and I think the attendants were not allowed to give out the owner’s cellphone no.. the best course for you guys will be (if you have already contacted a driver for your Bohol countryside tour that is if you are planning on one), to ask the driver to go to walk-inn and reserve the rooms for you. I love reading your blog. it helps me to plan my trip next month during sinulog ! does the rate of p2500 include the entrance fee / luboc river lunch ? I have one quotation which is P 1785 per pax includes transportation, entrance fees, and lunch at Floating Restaurant. Do you think is reasonable ? I just want to make sure that you know that Luboc river is in Bohol (not in Cebu), are you going there after the Sinulog Festival? Anyhow, to answer your question, No the P2,500 van tour does not include the lunch buffet and river cruise you have to pay an additional of P400 per person if you want to experience it. Can I ask what is included in the quotation of P1,785.00? Total cost per head is only = P1,150 per pax. So it’s really up to you 🙂 You can do it by hiring a van only like with Paul’s group or signed up for the all in Bohol Day tour package. hi! i just want to know how much is the bohol daytour package? is it 2500? we’re going there on june 30, 2012. can you send me quotation.. we are 7 going there..thank you..
hi batchi! the last time we went there it was P2,500 for the countryside Bohol tour, I am not sure if they have increased their rates, best way is to call Paul in the number listed on the blog post. hope you’ll enjoy Bohol!